Constructed Wetlands will be reimbursed at 75% of total costs with a maximum payment of $3,500.00 per application per parcel per year. When pre-treatment is required, the pre-treatment costs are included in the cost of the practice. A constructed wetland is an artificial wetland created to temporarily store, filter, and clean runoff from driveways, roofs and lawns. Constructed wetlands are engineered systems that use natural functions of vegetation, soil, and organisms to treat different water streams. Constructed wetlands can be designed to emulate the features of natural wetlands, such as acting as a biofilter or removing sediments and pollutants such as heavy metals from the water. To properly function in this regard, the wetland should be designed and constructed to retain water or remain saturated for two to three weeks. 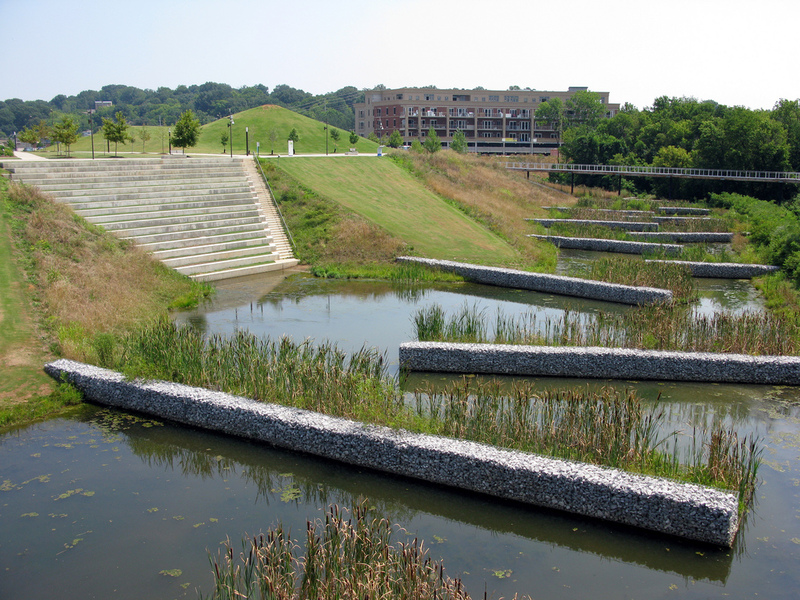 Constructed wetlands are typically less than 1 foot deep, although they have greater depths. The wetland environment provides an ideal environment for gravitational settling, biological uptake, and microbial activity. 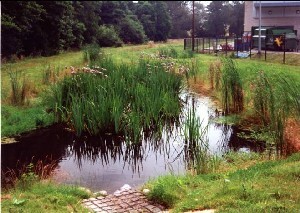 Constructed wetlands are the final element in a roof-to-stream runoff reduction sequence. They should only be considered for use after all other upland runoff reduction opportunities have been exhausted and there is still a remaining water quality or channel protection volume to manage.